Unlike the proverbial question about whether the chicken or egg came first, your first equipment choice when "graduating" from a compact to a DSLR camera is the lens. Many a new DSLR photographer has made the mistake of being mesmerized by the features and capabilities of the camera instead of concentrating on choosing the right lens. In fact, before even concerning yourself with what lens to buy (and then DSLR camera), your first task is to determine what kind of photography you plan on shooting with a DSLR set-up. If you've been a casual photographer with your compact camera, recording events and activities with family and friends, and want to improve the quality of those types of photos, then your first digital camera lens could be quite different than what a landscape, wildlife, architectural or fashion photographer. You may also be a photography student or an aspiring professional who wants to pursue a career as a wedding, portrait, fashion, product, sports or journalism photographer. Each of these requires quite, or slightly, different lens choices to capture the best photos in these genres. The purpose of this PhotographyTalk guide is to teach you the "language" of digital camera lenses and to explain the primary types and which are best for various photography genres as well as technical concepts that are critical to spending your money wisely. If DSLR photography and equipment is totally new to you, then you may find some phrases or concepts referenced during this guide unfamiliar. Be patient, these will be explained in due course, or in other PhotographyTalk buying guides. As with most products, the manufacturers of digital camera lenses give their lens products names that include "coded" notations, or words, letters and numbers. Like any code, once you learn the basics, you'll be able to reduce significantly the list of lenses to compare before you decide which one to buy for your particular use. Within these names, there are five primary coded entries you should learn, plus a few others. Focal length, or range: The lens' angle of view, or how wide or narrow a view it provides of the scene or subject you want to photograph. Sensor size: All lenses are compatible with specific camera models, according to their sensor size. Aperture: The size of the lens opening, which dictates how much light will enter the lens and register on the camera's sensor. Image stabilization: A system included in the lens to compensate for any movement or vibration from holding the camera/lens in your hands or being attached to a tripod. Lens mount: Describes the physical connection type that allows a lens to be attached to specific camera models. Glass elements: Specific types of glass in the optical groupings inside the lens that aid in taking better photos. Internal motor type: Many lenses are built with motors that operate the auto-focus function. Lens quality: Some lenses include a letter that describes the quality of the design and manufacture of the lens, which then relates to price. In the Nikon example above, "NIKKOR" is simply the brand name Nikon has given its lens products. The two examples above relate to the two major focal length types: fixed and zoom. A fixed, or prime, lens has one focal length, as in the Canon 50mm. The lens provides just one angle of view. In addition, a 50mm lens in the context of 35mm film photography is considered a "normal" view or one identical, or similar, to the angle of view of the human eye. 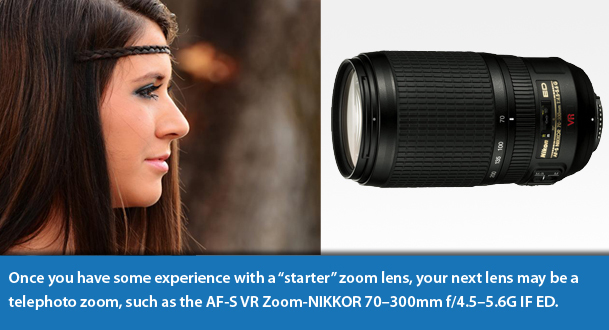 The Nikon lens example is a zoom lens with a range of focal lengths, 18–300mm, which can be selected with the zoom ring on the lens. The shortest length, 18mm, provides a considerably wider angle than the 50mm while the longest, 300mm, creates a much narrower angle of view than the 50mm. 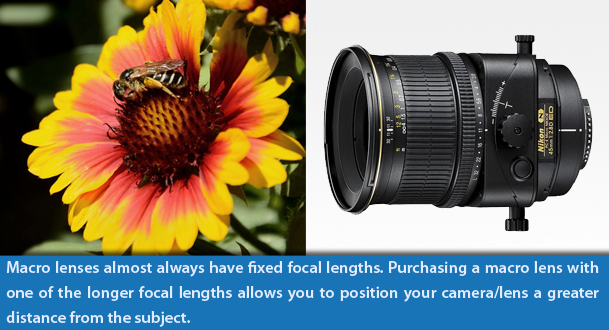 As you select a longer focal length (or narrower field of view), you also have a closer, or telescopic, view of a scene or subject, which means the Nikon lens example is also a telephoto lens. Some telephoto lenses also have fixed focal lengths, such as 200mm, 300mm, etc. Focal length is also closely related to the sensor size of the camera, which also affects the angle of view of a particular lens. In traditional 35mm film photography, the size of the negative is 24mm x 36mm. 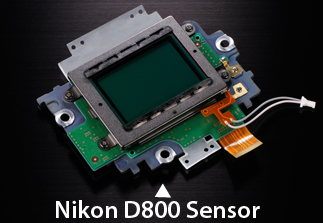 A DSLR camera with a sensor that registers an image in the same size is known as a full-frame camera. Full-frame DSLRs are typically the most expensive cameras and are more likely to be used by professional photographers. The camera manufacturers have also developed DSLR cameras with an APS-C sensor, which is approximately 24mm x 16mm, or less than half of the 35mm negative. APS-C is Advanced Photo System type-C. DSLR cameras with APS-C size sensors are generally less costly and are marketed to hobbyists, enthusiasts and amateurs who want the professional experience, but don't need the highest quality of full-frame cameras. In the Nikon lens example at the beginning of this guide, Nikon AF-S DX NIKKOR 18–300mm f/3.5–5.6G ED VR Lens, "DX" signifies this lens as being built primarily for an APS-C camera. The major camera manufacturers offer two sets of lenses: for full-frame cameras and APS-C cameras. As with APS-C sensor DSLRs, the compatible lenses are less costly than lenses for full-frame cameras. Hobbyists and enthusiasts are more likely to photograph a wider range of subject matter than professionals, who typically focus on one or two genres. Manufacturers, therefore, offer APS-C lenses for general-purpose photography, which means there are typically more zoom lenses than fixed focal length lenses. The professionals are more likely to use them. It's important to remember that full-frame lenses are compatible with APS-C cameras, but APS-C lenses are not compatible with full-frame cameras. This is an important factor in your lens-buying decision, especially if you aspire to become a professional. If you buy an APS-C system of camera and lenses today, then you won't be able to use those lenses if you upgrade to a full-frame camera later. More recently, there is a third type of DSLR camera, which is known as Micro Four Thirds, mirrorless or interchangeable lens system. In essence, these are miniature DSLR cameras, closer in size to compacts, but with more DSLR-like features. A Micro Four Thirds sensor size is typically 18 x 13.5mm. PhotographyTalk has created a separate buying guide with all the details of Micro Four Thirds cameras. The following photo shows the angle of view for a selection of focal lengths, using a camera with an APS-C size sensor. Another important characteristic of lenses is that the focal length, or angle of view, can be expressed in two ways, depending on what sensor-size camera is being used. For example, the major manufacturers often bundle an 18–55mm with their APS-C cameras for beginner DSLR photographers. 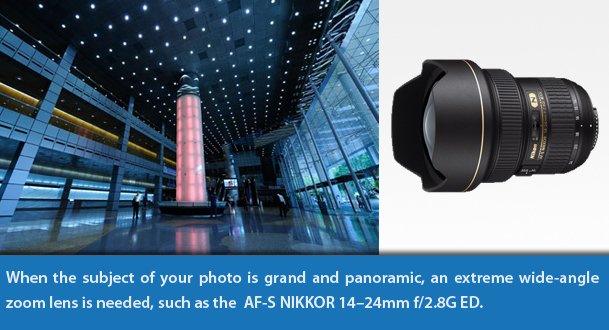 With an APS-C sensor format, this lens is described as having a focal length range of 18–55mm. Attach this lens to a full-frame camera, however, and the angle of view changes; and in this case, becomes narrower. Remember, the sensor on a full-frame camera is approximately 1.5 times larger than an APS-C sensor, which, therefore, narrows the APS-C lens' angle of view. 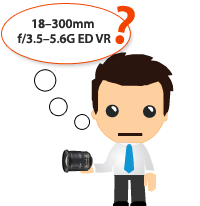 The 18–55mm lens is said to have a "35mm equivalent" of 28–90mm. The following chart lists four lens categories and their equivalent angle of view in the three primary cameras, by sensor size. Aperture refers to the size of the opening inside the lens. A series of thin leaves (8 for example) are arranged in a circular, overlapping pattern to create a diaphragm. Selecting various apertures opens and closes the diaphragm, permitting more or less light to enter the lens and camera and register on the sensor. The selection of apertures on a lens is known as "f" numbers, or f-stops: The smaller the f-stop, the larger the opening and vice versa. In the lens examples, the Canon 50mm is designated as an f/1.2-aperture lens. This means its largest diaphragm opening is f/1.2. Since the smallest f-stop of the Nikon lens is f/3.5, its opening is not as large as the Canon lens. A lens with an f-stop of 1.2 is often described as a "fast" lens. This simply means that it's opening is so large that it will allow you to take acceptable photos in low-light conditions that the Nikon lens couldn't duplicate because its widest opening is smaller. You may have also notice the letter "L" after the aperture, f/1.2, of the Canon lens name. Canon's L series of lenses are the best it makes. The "G" in the Nikon lens name designates that it lacks an aperture ring. Instead, the lens has an electronic diaphragm control, so the camera sets the aperture, or f/stop. Depth of field is another concept with which you should be familiar when buying your first DSLR lens. It is simply how much of the depth of a photo is sharply in focus, from in front of and behind the focus point. An f/1.2 aperture creates a very narrow depth of field, which allows the photographer to isolate the subject from the background and give a photo more three-dimensionality. Selecting a small f-stop (or wide aperture) gathers so much light that you can produce pleasing photos indoors without the use of a flash. One of the reasons these two lenses were selected as examples is to explain that a "fast" lens, and with a fixed focal length, such as the Canon, will cost more and is generally a professional's lens. The Nikon lens has a wide selection of focal lengths, so it's a great choice for the hobbyist or amateur as a general-purpose lens. These photographers are less likely to need the low-light gathering and depth-of-field capabilities of the Canon lens and would have to spend 50% more than the Nikon lens for the privilege. In the name of the Nikon example lens, "VR," signifies the lens has an image stabilization (IS) system built into the lens. For its lenses, Nikon calls this Vibration Reduction. Some manufacturers, Pentax and Olympus, put the IS system in the camera body instead of their lenses. 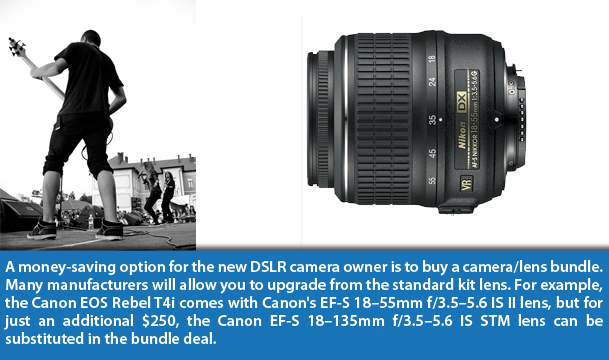 All Canon, Nikon, Panasonic and Samsung lenses include an IS system. Sony Alpha DSLR cameras, which are its APS-C and full-frame sensor cameras, are built with the company's "Super Steady Shot." Sony's NEX line is its Micro Four Thirds cameras. Sony places its "Optical Steady Shot" in the lenses for these cameras. 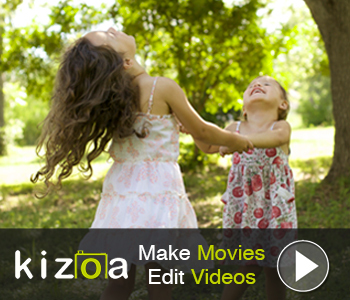 As mentioned above, image stabilization helps to steady your camera when you are shooting handheld at slow shutter speeds. Typically, trying to hold a long, telephoto lens at a slow shutter speed causes more shake, so whenever buying a telephoto lens, make sure it has an IS system. Before deciding which manufacturer's camera and lenses to buy, check whether the IS system is built into the body or lens. You'll want it in one piece of equipment or the other. As with the "VR" in the Nikon example lens, each manufacturer uses a different acronym for image stabilization, and you may find these in their lenses' names. Camera manufacturers have purposely designed different mounting systems, or the connection between the camera and lens. A Canon lens won't mount to a Nikon camera and vice versa. The marketing strategy of some manufacturers that concentrate on lens products, primarily Sigma, Tamron and Tokina, is to make each of their lenses with different mounts, so they can be used on most camera brands. In the Canon lens example throughout this guide, "EF" in the Canon name means electronic F-type mount, which has been the company's standard since 1987. The following chart outlines virtually all of the lens mount descriptions you're apt to see when shopping for a lens. EF lenses are for full-frame cameras. EF-S lenses are built specifically for APS-C cameras. Some older Nikon lenses are not equipped with an autofocus motor, so autofocus will not work when these lenses are paired with Nikon's entry-level DSLR cameras. Four Third DSLR lenses are compatible with Micro Four Thirds cameras with the use of an adapter; however, the autofocus may not be functional. Autofocus will not operate when combining newer Pentax lenses (with autofocus motors) with older DSLR cameras without the connection to power the AF motor. An adapter must be used to connect Pentax K-mount DSLR lenses to NX cameras. SA-series cameras can only use compatible Sigma lenses. NEX E-mount cameras will accept Alpha DSLR lenses with the use of an adapter, but autofocus is not functional. 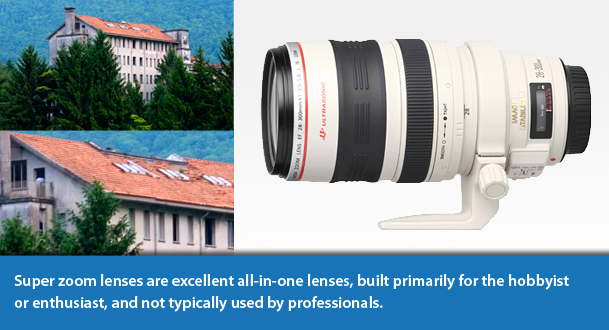 All lenses are designed and manufactured with a number of glass elements in separate groups. The number of elements doesn't necessarily signify the quality of the lens. The Canon 50mm f/1.2 lens has 8 elements in 6 groups, but it is a small lens. The Nikon example lens (18–300mm f/3.5–5.6) has 19 elements in 14 groups, but that's because it is zoom lens with multiple focal lengths, so more glass is needed. What is significant about the elements in the Nikon lens are the letters "ED" in its name. This means "Extra-low Dispersion" elements; this lens has three. These help to reduce optical distortions that occur because no glass element, regardless of how well it is made, is "perfect." In addition, this Nikon lens also has three "aspherical" glass elements, which means the edges of the elements are flattened, instead of having the contour of a sphere or cylinder. 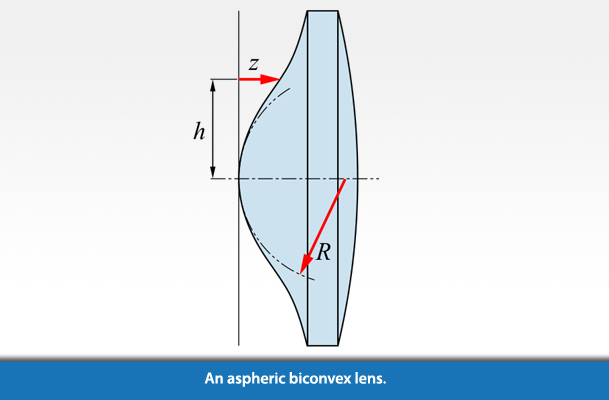 Aspherical elements are added to a lens to reduce or eliminate various optical aberrations. Typically, aspherical elements help to create a much better image than a standard glass element shape. Most DSLR cameras or lens are equipped with a motor that operates the autofocus (AF) feature. When you point the lens at a subject, one or more sensors in the AF system "reads" the scene or subject you've framed and automatically focuses the lens. The speed of the AF motor and noise it produces bear some relationship to the quality of the lens. The fastest and quietest AF systems are generally in lenses for professional photographers because they need the lens to focus quickly and be virtually silent, so as not to spook wildlife, for example. 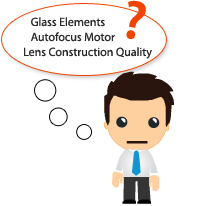 There are various types of autofocus motors with unique specifications. Screw-drive lenses: Instead of a motor inside the lens, it is housed in the camera and directs the focusing of the lens with a mechanical connection. These types of lenses are typically fast, but relatively noisy. Nikon, Pentax and Sony have had screw-drive lenses, but newer lenses coming on the market have internal motors. You wouldn't want to buy this type of lens if you were also considering buying a Nikon entry-level DSLR camera because they don't have motors and you wouldn't be able to autofocus the lens. Micromotor drives are more likely to be included in lenses from third party manufacturers, such as Tamron and Tokina. A standard DC motor engages a gear mechanism, which then drives the focus. The speed and noise level of a micromotor drive is average at best. The ultrasonic motor is the autofocus technology more manufacturers are building into their lens. This system is virtually silent when activated. Some ultrasonic motors are very similar to micromotors and are typically found in cheaper lenses. The better ultrasonic motors are known as ring-type. Serious amateurs and professional photographers want lenses with ring-type ultrasonic motors because they operate quickly, make no noise and allow for full-time manual override of the autofocus system. As with other parts of the "lens language," each manufacturer gives its ultrasonic motor a different code. The first appears in the Canon lens example for this guide. Not all lenses are created equal when it comes to the materials with which they are made or the quality of the construction, in terms of durability. Price is typically the determining factor. Less-costly lenses tend to be made of lighter plastic parts than high-priced lenses and generally more metal parts are incorporated into those professional-quality lenses. You're also more likely to find high quality lenses to be weather-sealed to stop water, dust and dirt from entering. These are good general-purpose lenses if you are new to DSLR photography, or a hobbyist or enthusiast looking for a range of focal lengths from wide angle to just the beginning of telephoto focal lengths. Many entry-level, APS-C DSLRs cameras are bundled with an 18–55mm f/3.5–5.6 lens, a good starter lens. Some manufacturers' bundle deals will offer the option of upgrading to a larger zoom lens, such as a 16–105mm, for just a few more dollars. 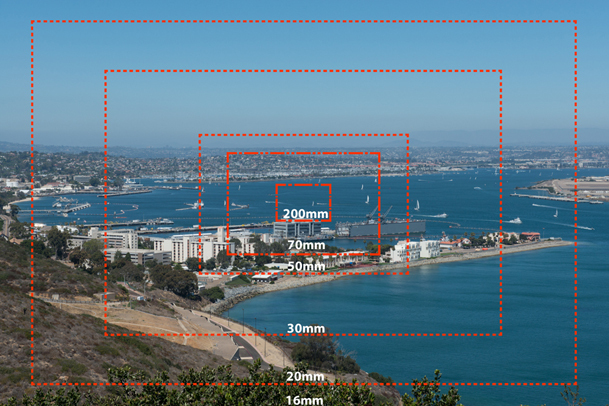 The longest focal lengths on telephoto zoom lenses are typically 200mm to 300mm. 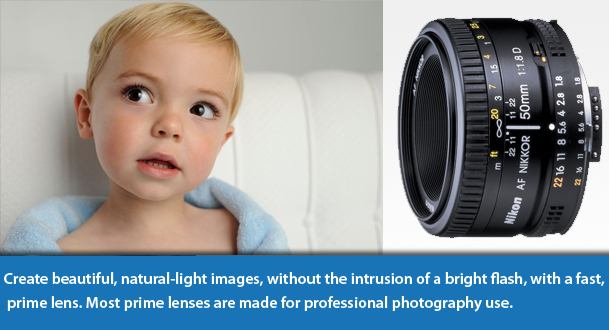 Their aperture range typically starts at slightly more than normal, such as 55 or 70mm. Marketed as the one of the best options for hobbyists and enthusiasts, super zoom lenses provide a large focal length range, from wide-angle to long telephoto. Providing an extreme wide-angle view, these lenses are designed for landscape, exterior and interior architecture and other very large subject matter that must be entirely captured within a single image. A macro lens is designed for extreme close-up photography of objects, such as insects and flowers. Most of these lenses can achieve a life-size, or 1:1 ratio, or magnification. 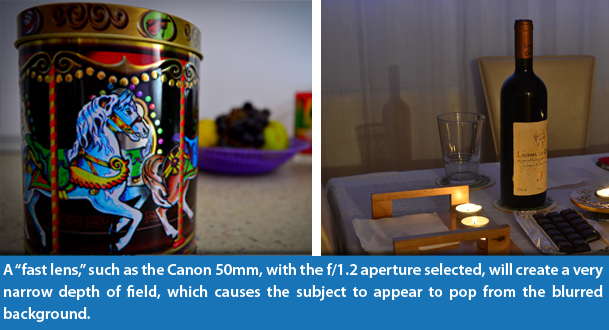 As noted above, the Canon example for this guide, the Canon EF 50mm f/1.2L USM is a fast, prime lens. There are many prime lenses available from wide angle to ultra-telephoto. The term, "fast," refers to their capability to gather the most light of any lens, so more highly acceptable photos can be taken in low-light situations. Professional wedding photographers often use fast lenses, so they don't have to use a flash during a ceremony or reception. Remember, the smart lens-buying strategy: determine the kind of photography you will be shooting, choose a lens to match that genre, and then choose the camera with which that lens is compatible. It's also important to remember that lenses typically have a longer life than cameras; the models are updated or changed faster than lenses. That's another reason to choose your lens first and be willing to invest a bit more because you'll receive many more years of quality use.